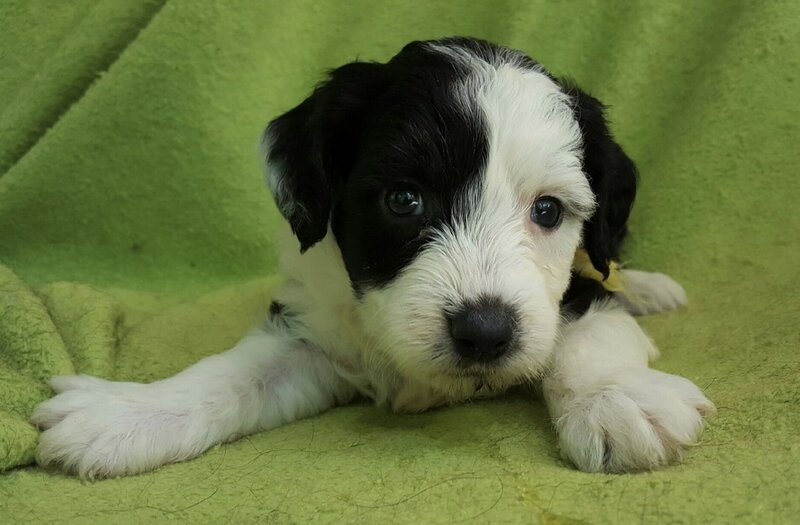 The black & white puppies typically all end up with brown eyes & and some merles end up with blue eyes & some merles end up with brown eyes. 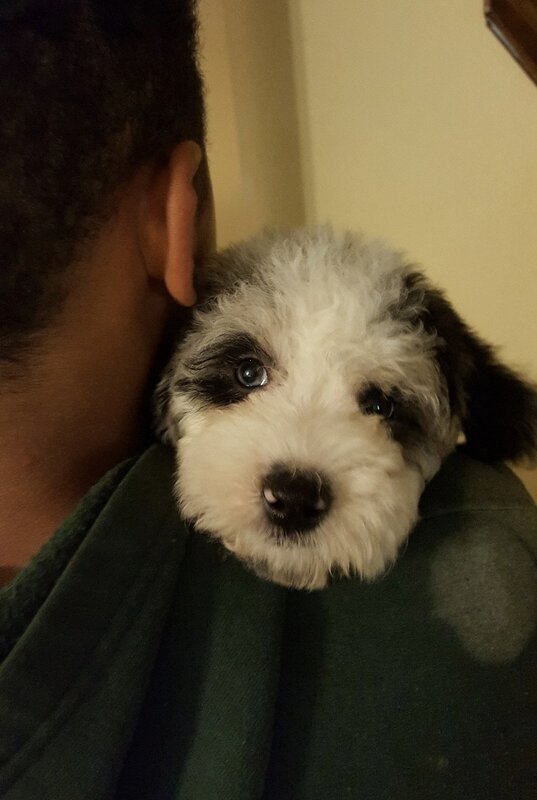 She loves to snuggle on the shoulder. 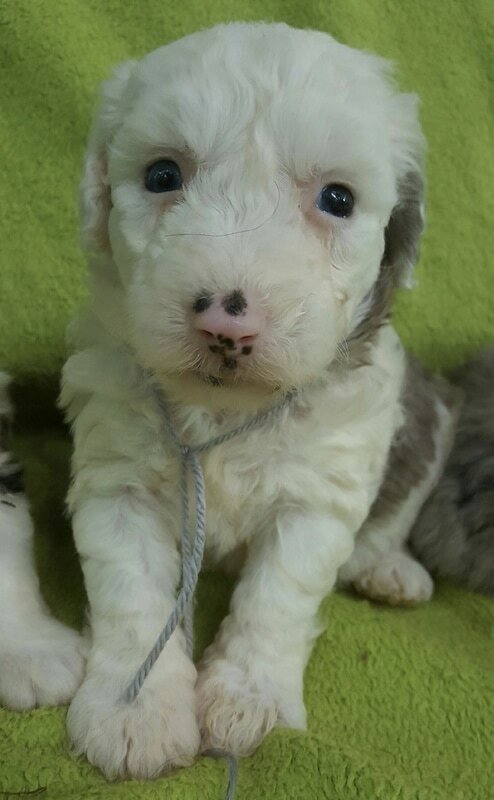 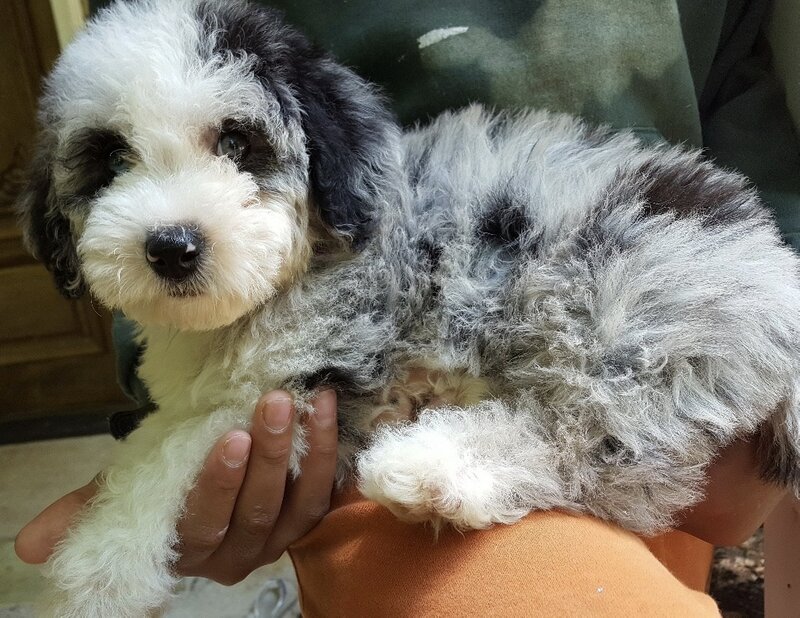 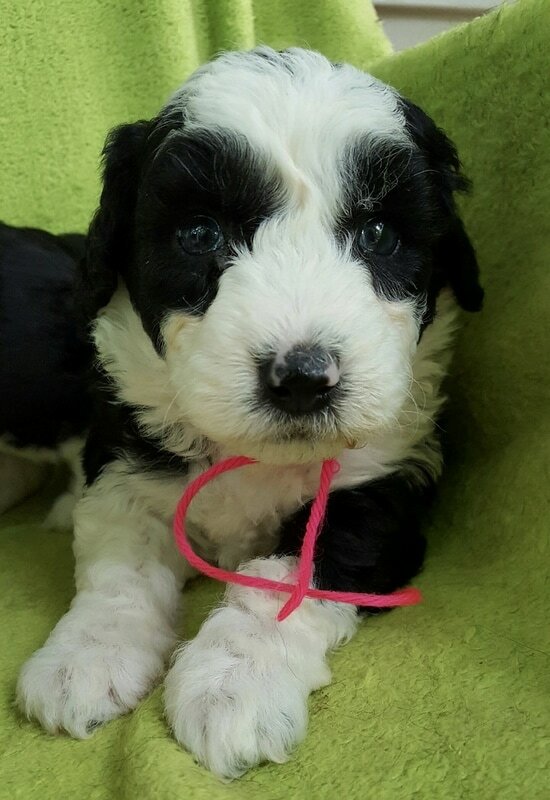 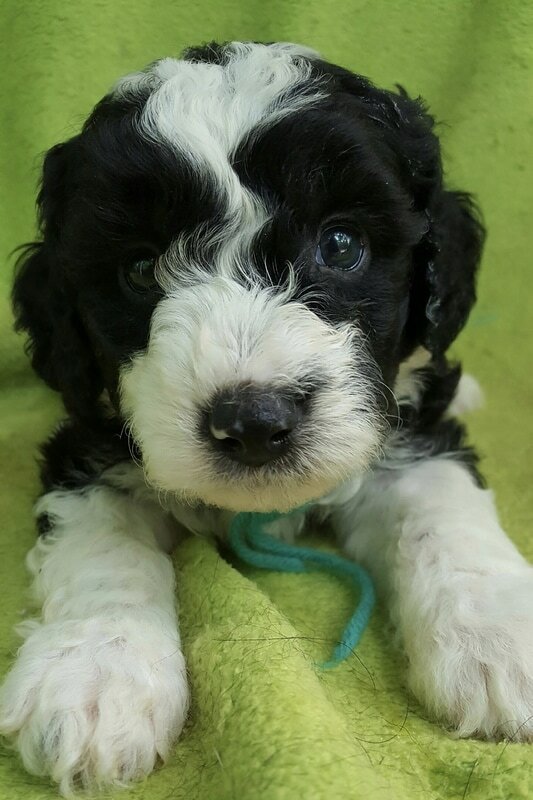 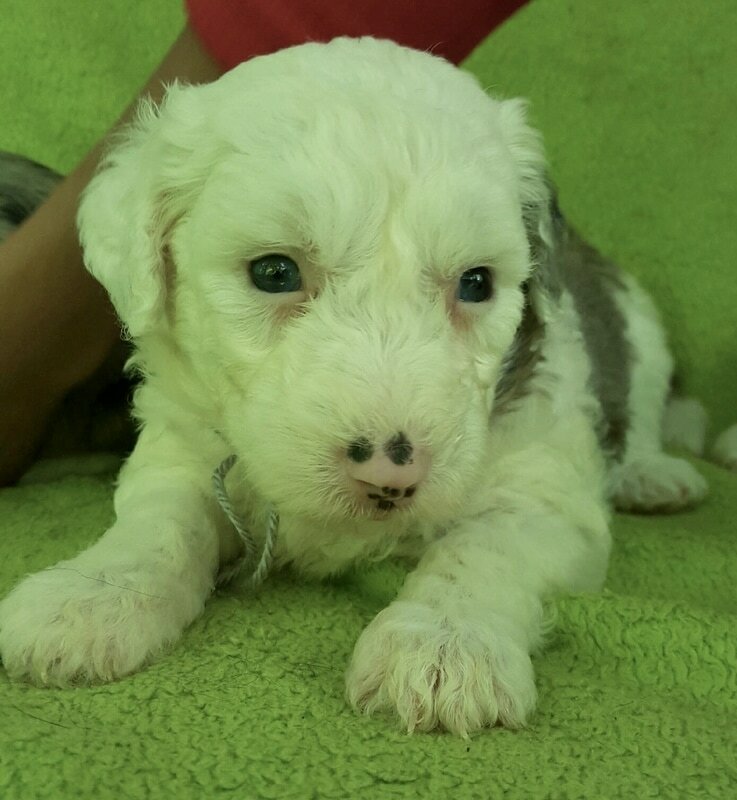 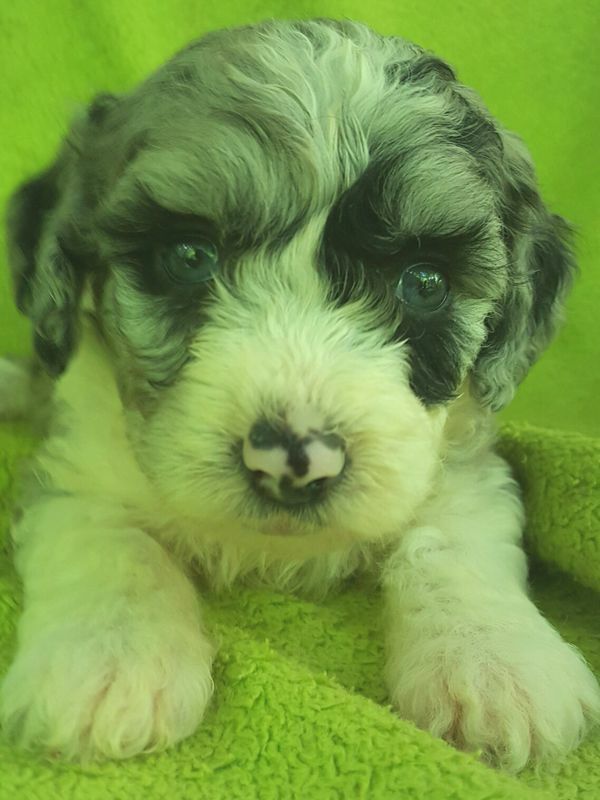 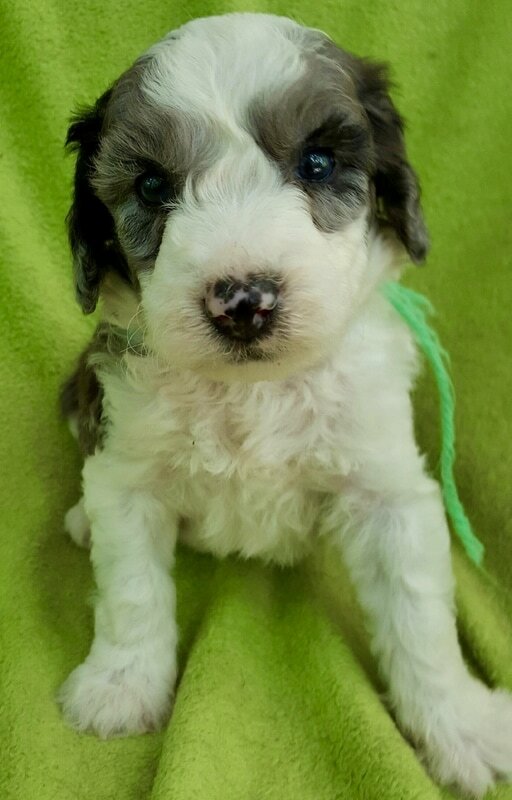 To place a deposit and reserve one of these puppies, please click on the main sheepadoodle page & use the paypal button that is 1/4 of the way down the page.